Helping Ninjas wants to create a desire to help others, oneself and the planet. Helping Ninjas outreach to local businesses, such as yourself, and we invite you too, to join our efforts, to inspire and create awareness about the importance of helping. 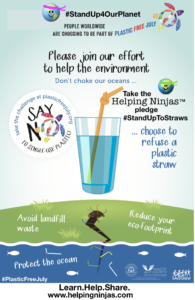 Join our initiative #StandUpToStraws and help Helping Ninjas to stop straw use, create awareness and educate youth on this issue, and to ask others to stop using/giving/selling plastic straws! You can help too! Just print out this sign and take to a local restaurant and ask them to hang it! 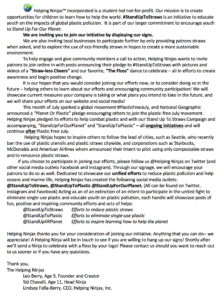 You can also help by following Helping Ninjas’ students efforts to create awareness about the need to to eliminate plastic straw usage and reduce plastic pollution on Twitter, Instagram and Facebook, subscribe to follow our #StandUpToStraws and soon to be #StandUpToPlastic campaigns! @StandUpForOurPlanet will educate, address and celebrate all areas of positive impact on our environment. This is another outlet in which you, or your business, may join and participate in our efforts to educate youth on how to help our planet. Inspiring unity, help and change, this page encourages posts, videos, photos depicting how your business is helping the planet. 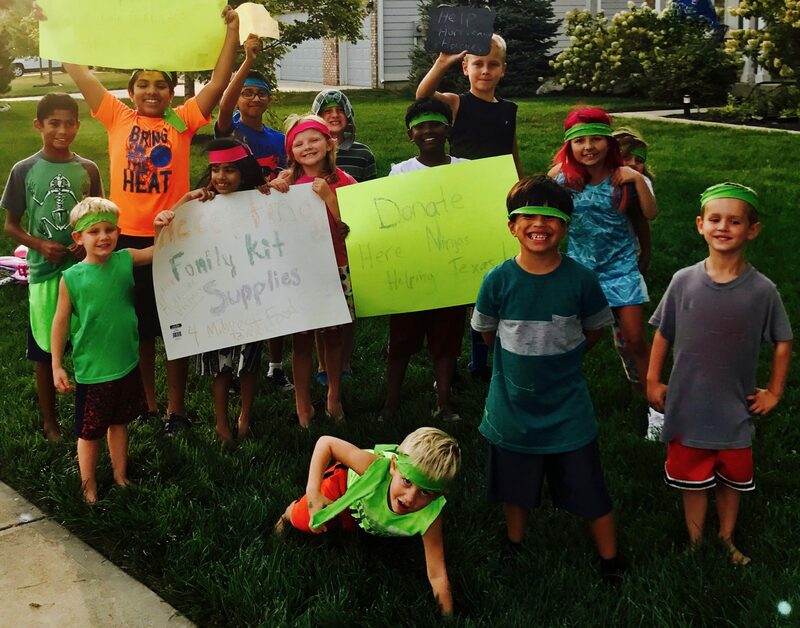 Helping Ninjas is geared to educate youth on ways to help, and what better way for them to see is by example. Helping Ninjas wishes to create opportunities for children to learn how to help, through education and community participation, a program designed to encourage and inspire children to help, no cost to participate – it is free to all students as well as partnering businesses, corporations and organizations – Learn.Help.Share is an act of service to our community. Helping Ninjas will be encouraging others to join in – at home, at home, in classrooms, children organizations, etc. offering small achievement awards and incentives in the form of “prizes” or “coupons” to students who complete of acts of help each month and submit to us via e-mail or mail! Are Mailing Address is P.O. Box, Zionsville, IN. More information can be found at www.learnhelpshare.com. Including downloadable Learn.Help.Share forms for potential partners and can be found on the website. Social Media Handle: @Learn.Help.Share can be found on Twitter, Facebook and Instagram. **If you would like to learn more about the Learn.Help.Share. program or interested in involvement or becoming a partner, please go to Learn.Help.Share.